Click on the video to watch the recipe of HOW TO MAKE PLAIN BANGALORE DOSA! Wash and soak rice, methi seeds, avalakki and urad dal in 2 cups of water for 4 to 5 hours or overnight. Grind the soaked ingredients to fine paste. Use the water accordingly. Final consistency should not be too thick or too thin. Finally add the salt and pulse it on more time. Transfer the batter to a another container (it should be half empty) cover this, keep it in a warm place and let it ferment overnight or 10 to 12 hours. If you have an oven, warm this for 2 minutes and keep the batter in the oven to ferment. Heat the greased tava/skillet on medium heat. Once it is hot enough (to check sprinkle water on hot tava, you should hear the strong sizzling sound) pour a ladle of dosa batter in the center, spread the batter from the center in a circular motion to make a circle. Add the oil to the center, around the edges and cover it with a lid. 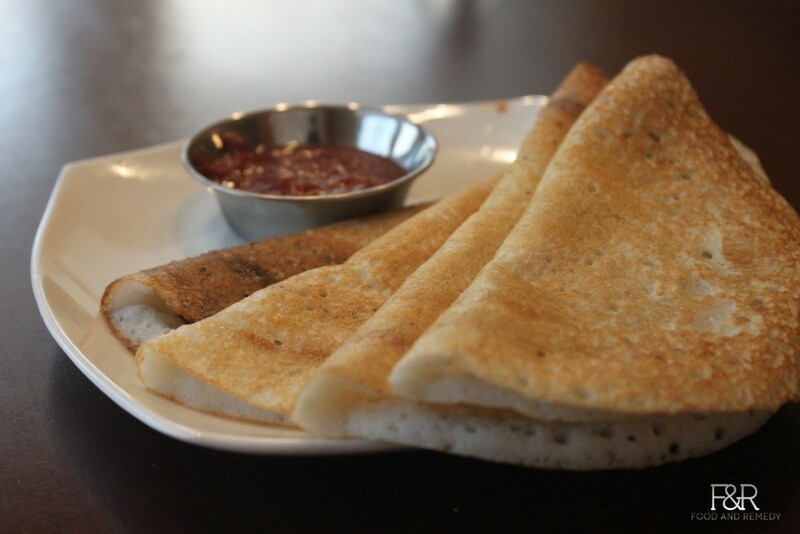 Once the dosa turns golden brown, remove from the tava and serve hot with coconut chutney or chutney of your choice. I use brown rice instead of white for this same recipe and it comes out delicious. I really love your Bisi bele bhath recipe too. Thanks for sharing.